Flowers - Christmas Edition | ExpressCasino.com - Top Online & Mobile Slots Jackpots! Flowers - Christmas Edition | ExpressCasino.com - Top Online & Mobile Slots Jackpots! One of the best Slots Keep Winnings game by NetEnt that has a Christmas-theme is called - Flowers(Christmas Edition). This is an エクスプレスカジノ slot game that is the second version of a previously released slot with the same name. Read on to get to know more about this yuletide based slot version. Flowers (Christmas Edition) is designed to meet the needs of every slot player. This Slots Keep Winnings game has 5 reels and 30 active paylines available with the reels framed by an ornate wooden frame. The backdrop consists of snowfall with very standard graphics and animation. この エクスプレスカジノ slot primarily consists of multiple brightly coloured flowers with varying values. By landing a minimum of three similar symbols at the same time on the reels, the player will win a payout. Before beginning to match up the symbols, the player will have to set the betting values. The coin values are within the range of 0.01 and 0.50. The number of coins per line can be set from the “Level” tab option. To set the max betting value of this Slots Keep Winnings click on the “Max Bet” option given at the bottom of the screen. Then click on the “Spin” button to get the game underway. For those players wishing to play a certain number of spins on the reels without any disruptions to, the “Autoplay” option can be selected. Set the preferred number of spins and start playing. There is a Free Spins bonus symbol available and this icon can show up as a single or double symbol. By landing a minimum of four of this icon on the reels, the player will activate the game's free spins feature, where a reward between 10 and 30 free spins can be won. The number of free spins earned is dependent on the number of free spins icons that are displayed on the reels. During the base game, a Snowflake Wild symbol will replace other icons apart from the free spins symbol and a double bonus symbol. However, wilds can appear stacked on the reels during the free spins to help players win more and earn large payouts. Free Spins are reactivated when additional four free spins icons land on the reels during the free spins feature. 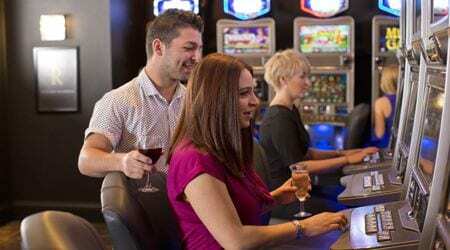 Winning combinations during the free spins round are subject to a 3x multiplier which can even rise to a 5x or 10x multiplier, depending on the number of free spins icons on the reels. この Slots Keep Winnings game is very addictive and will keep players playing for long hours this Christmas break. The stake multipliers in the free spin rounds are great for boosting the cash payouts. Both the graphics as well as soundtrack also keep the players coming back for more.